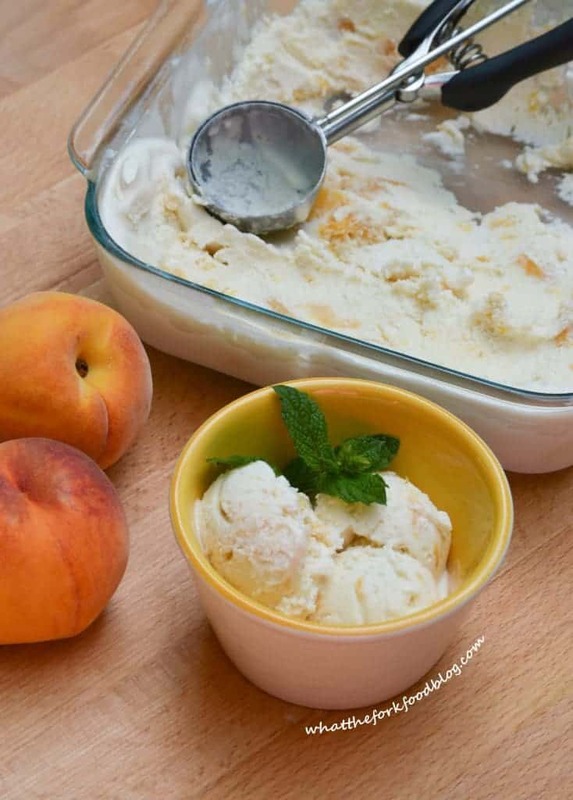 Creamy ice cream flecked with vanilla beans and dotted with chunks of fresh peaches straight from the tree. 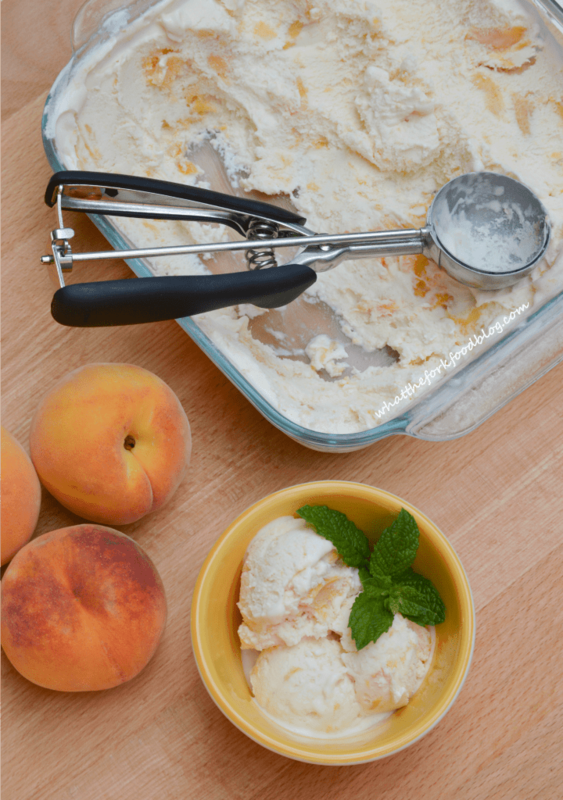 Peach Ice Cream is the perfect way to use all of those fresh summer peaches! Ok, I’m warning you, I’m about to go on a little bit of a rant, so please bear with me. There’s been a lot of “talk” on my Facebook news feed lately. Things like “Chilly morning, can’t wait for fall!”, “Only a few more weeks of summer!” Stop. Just stop it already. It’s AUGUST. The first official day of fall (or autumn, if that’s what you call it) is September 23. September 23, people! That’s more than a month away. There’s still plenty of time left in summer. If you couldn’t tell, it annoys the SugarHoneyIcedTea outta me when people start jumping the gun on the changing of seasons. ESPECIALLY when it’s summer. Summer is my jam; it’s my favorite season and I wish I lived in a climate where there was just ONE season all day every day for the rest of my life. That being summer in case you couldn’t tell. I hate the fall. Yeah it’s pretty here in New England. Big whoop. Fall means that summer is over. And there’s only a few things I hate more than summer ending. Right now, I really can’t think of anything but slow drivers who think the speed limit is an acceptable cruising speed are right up there. I guess I just don’t understand why people can’t wait for fall… Aka the season where everything starts dying. I can wait. I can wait forever. Because it’s still SUMMER and will be for approximately 32 more days, I made a special SUMMER treat: Homemade Peach Ice Cream. Summer peaches are the best because, duh, summer. And ice cream is awesome too. Put em together and what do you get, Bibbity bobbity… Ice cream… I mean ice cream. 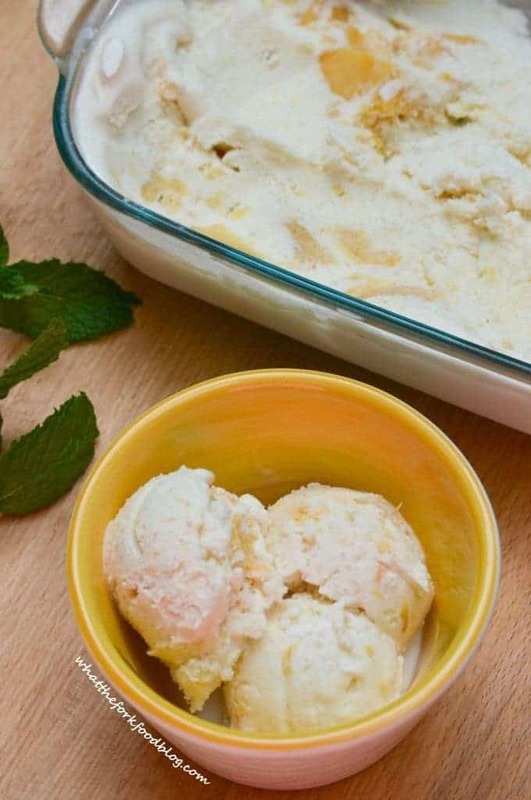 Peach ice cream. 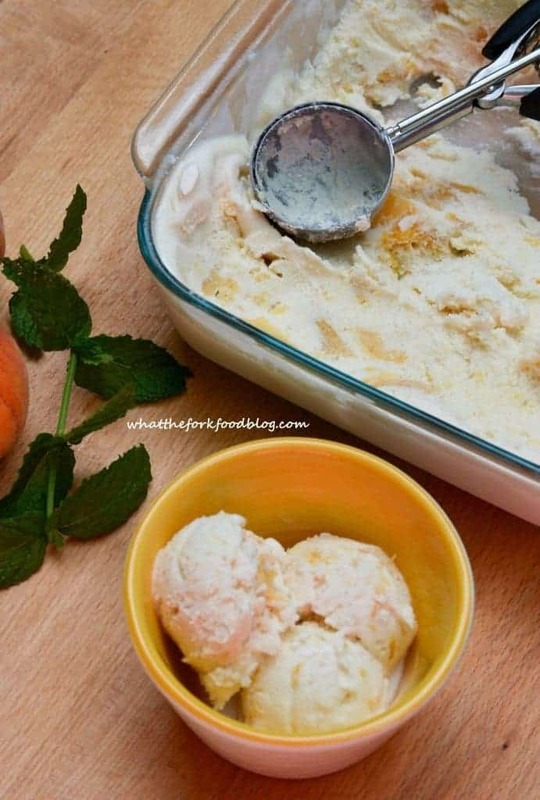 Smooth, creamy, peachy wonderful ice cream. Anyways… If you read my peach daiquiri post you’re already familiar with my peach obsession. LOVE THEM. And ice cream is beloved by all. 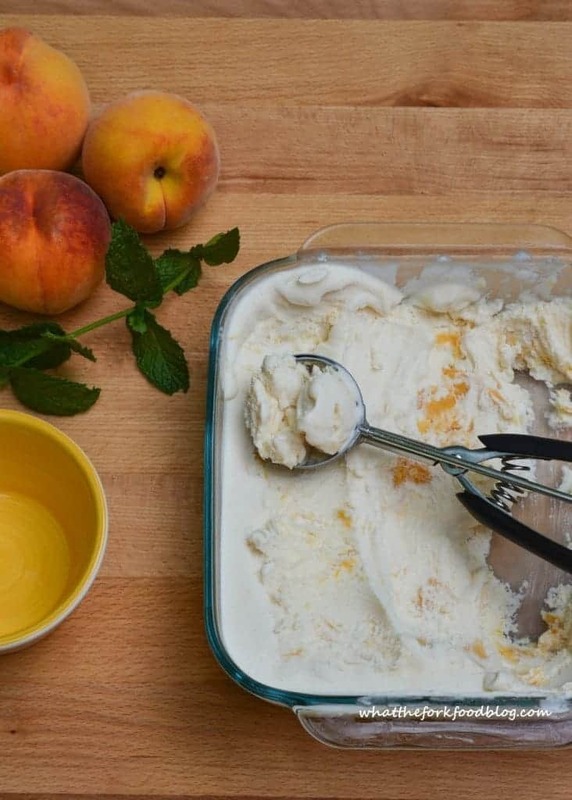 Peaches and ice cream are a match made in heaven. I really don’t know what I love most about this ice cream. 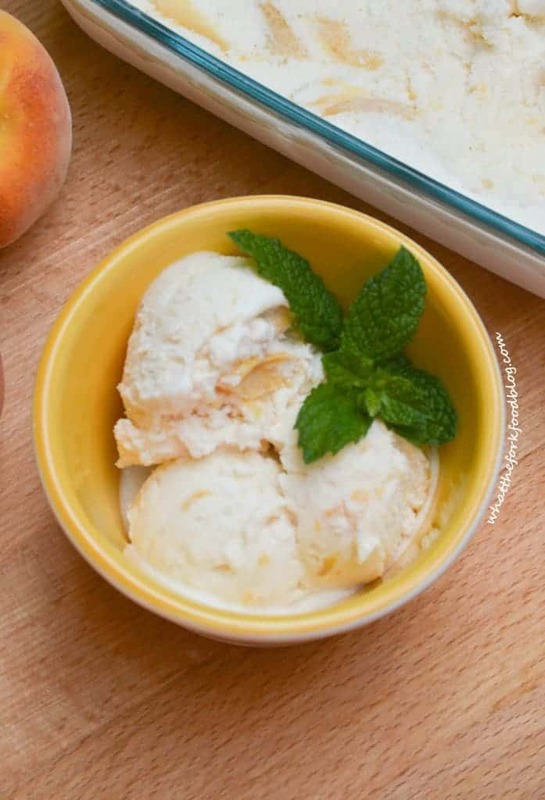 Between the vanilla bean ice cream, chunks of fresh peaches and the cinnamon peachy taste and it’s impossible to decide. Layers of peachy goodness. I absolutely love the taste combination of the peaches, vanilla and cinnamon. It’s phenomenal… it’s peach perfection. If a peach tree and a cow had a baby, this would be the result. So enjoy the fact that it’s still summer, a little ix-nay on the all-fay and enjoy! Combine peaches, 1/4 cup sugar, cinnamon and lemon juice and cook in a skillet over medium heat for 10 minutes, stirring occasionally. Remove from heat and refrigerate until cold. In a small sauce pan, combine 3/4 cup sugar, 1 cup heavy cream and salt. Heat just until sugar is dissolved. Cool to room temperature, about 15 minutes. In a medium bowl, combine whole milk, 1 cup heavy cream and vanilla bean paste (or extract). Mix in the cooled cream/sugar mixture. Stir in half of the peach mixture and refrigerate until cold. When the mixture is completely cooled, add it to your ice cream maker and churn according to manufacturer directions. Add the remaining peaches during the last 3 minutes of churning. Transfer ice cream to a 2-quart freezer safe container and freeze until hard. 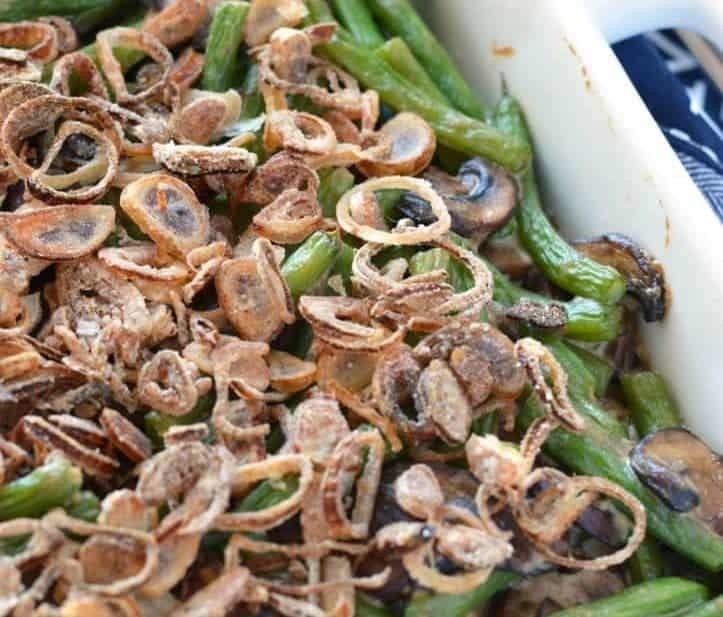 This recipe is adapted from She Wears Many Hats. Yum ice cream! Yum peaches! And you’re not alone with quoting Disney movies. I do it all the time! Lol, glad I’m not the only one! 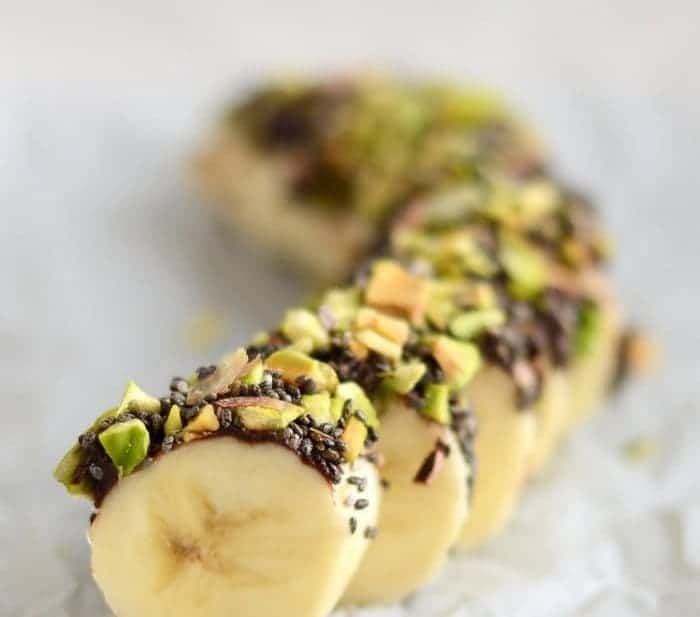 Once again, this looks so yummy!! And, while I enjoy fall, I’m not ready for summer to end. Though, there is one tree in my neighborhood that is already turning…just not ready! So, I’ve never made ice cream before and this is the second post I read about making ice cream. My husband just bought me all of these mangoes. 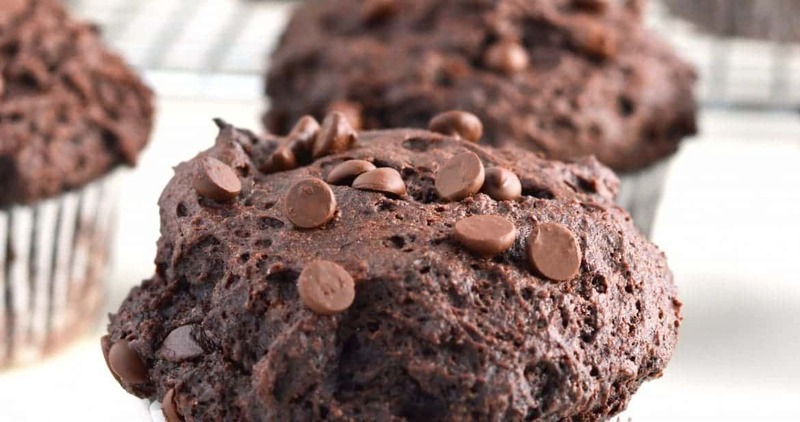 I think I might experiment with your recipe this weekend! Pinning. I enjoy fall, but at the same time I see no good reason to rush through summer the way some people do!!! This looks like a fantastic SUMMER recipe. “Peach perfection” sounds pretty accurate. When you brought up Frozen songs, I thought you were going to say the summer song Olaf sings. 😛 And I love peaches too, but it can be hard to get really good ones around here. Sharon, you would have loved our Peach Festival last weekend (check out my blog today for the highlights). Thanks for linking up with us again this weekend at the #WWDParty. Yes! I totally agree with you, I’ve started seeing pumpkin recipes pop up on Pinterest and am just like TOO SOON. Thank you for keeping us grounded in the proper season with this delicious ice cream :). 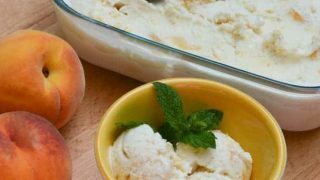 I love anything peach and especially ice cream with chunks of peach in them. Yummers! This looks delish, Sharon! Thanks for sharing!